Dual-boot was a term known with PCs until recently when one of the renowned XDA Developers figured out how to DualBoot two or more ROMs on an android device without loosing any data on the original ROM. This wonderful development allows you to test as many Android ROM as possible on your Android device before you eventually choose one. 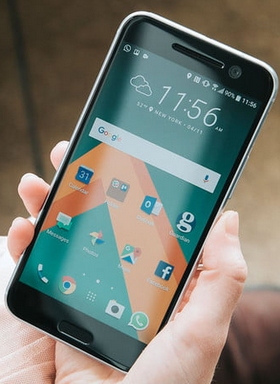 Now, you don't have to flash/format your android device before you install another ROM on it. Simply DualBoot the ROM(s) on your phone and test them. If everything works fine on all the ROM(s), you may then flash the ROM on the phone and leave it permanently there! In less than 5 minutes from now, you will learn how to DualBoot (Install) 2 ROM(s) on your Android device. Please note that this guide will only work for your Android Phone only if it's supported by DualBootPatcher Android app. DualBootPatcherAndroid app is not developed by ArykTECH rather, it is part of the tools we at ArykTECH use often while performing servicing works on Android devices. However, if you have any question(s) about DualBootPatcherAndroid, I will be glad to help. 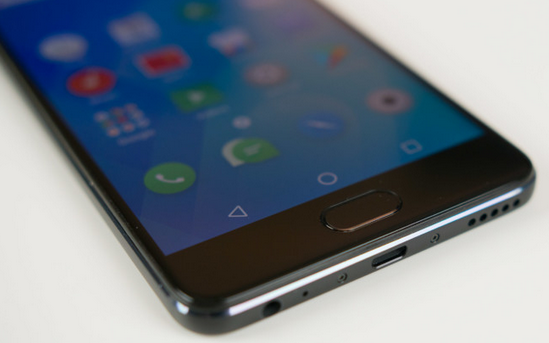 There's no way you will brick your device by following this Guide. You will only put your device in DANGER if you flash any ROM that's not Recommended for your device. Just make sure you follow the guide as promptly. 1. 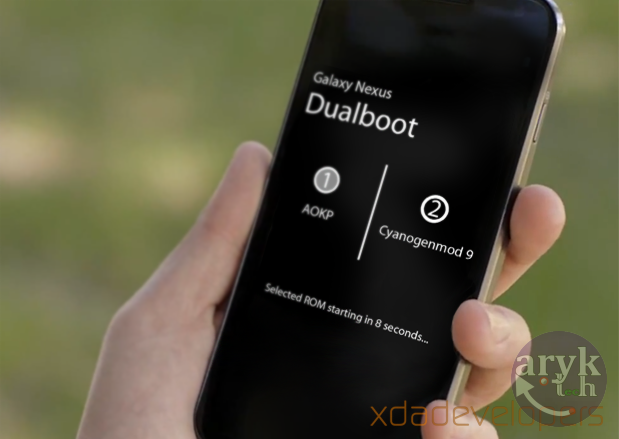 Make sure that the current ROM you are running is supported by DualBootPatcherAndroid app. 2. Make sure that your phone is rooted and that you have custom recovery installed. 3. Now, download the other ROM that you want to Dual Boot along with your ROM on the android phone. 4. Now, download DuaulBootPatcherAndroid from here and install it on your Android device. Remember: DualBootPatcherAndroid has to be installed on your primary ROM (The one you're currently running). 5. Following a successful installation of the DualBootPatcherAndroid app, launch/open it. It will ask you to select KERNEL. Select it and then reboot. If DualBootPatcherAndroid app didn't prompt you to reboot, just leave it. 6. Open the DualBootPatcherAndroid app (if you reboot your phone), click on ROM and you will see just your Primary ROM. Tap on the 3 dash on the top left hand corner of the phone and few options will pop out. 7. Click on Patch Zip File from the option, then click on the plus(+) button at the bottom of the right side of the phone. 8. Navigate to where the Second ROM you want to Dual Boot and click on it. A pop up containing your device info will show up, ignore that and click on the Partition Configuration and you will see the list of where to install the ROM. You can choose Data Slot or Extsd Slot. 9. Now the ROM will be installed on the phone and you will come to a stage where you are asked to give the ROM and ID. This ID will let you identify the set of ROM you have installed. At any point in time, if you wish to install/FLASH any zip on the ROM you Dual Boot (just installed) from recovery, you MUST name it the same name as the ROM and follow this process from step #7. If you are satisfy with the ROM name you choose, then click Continue. Then choose where you want to save the new ROM, and click SAVE. 10. Now, reboot to recovery and navigate to where you save the new ROM and flash it as normal. Don't worry, it will be installed with the configuration and the new name you set. 11. Following successful installation, reboot the phone. Wait patiently while the ROM initialises. It may take between 10 to 15 minutes before you see the Setup Screen. 12. When you've COMPLETED the Setup, the next thing to do is to install the DualBootPatcherAndroid app, so that you may be able to use it to Switch between the ROMS. 1. Open the DualBootPatcherAndroid app. 2. Press the 3 dash on the top left hand of the phone. 3. Click on ROMS (for the first time it will prompt you to Set Kernel, go ahead and do it). 4. Click on the ROM you want to Switch to (the one with a tick mark is your primary ROM and it is the one that will always boot up whenever your device restarts). 6. Once Rebooted, bravo! You're on the selected ROM!